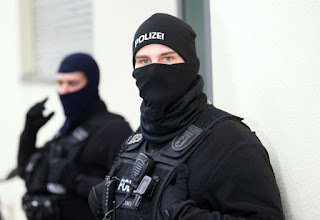 Cops in Hamburg announced a series of massive drug busts. The most recent was made in early November, when officers found 300 kilograms (661 pounds) of cocaine hidden behind a large shipment of dental floss. The discovery was made after x-raying the container, which had been shipped from the Dominican Republic. Customs officials said the cocaine was worth around €63 million ($71.6 million). 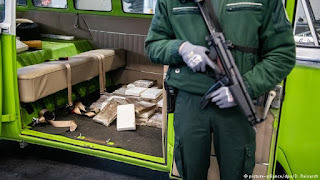 Cops found another 100 kilograms of "ultra-pure" cocaine that was stashed in an imported Volkswagen (VW) T2 camper van. 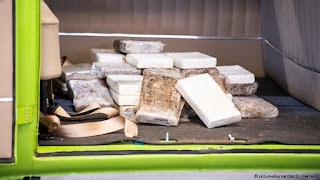 Earlier, police announced they uncovered over one ton of the drug in a truck located on the site of a freight forwarding company. Shortly before that find, customs officers found 200 kilograms of cocaine in a shipping container loaded with coffee. The northern German port is the largest and busiest in the country. 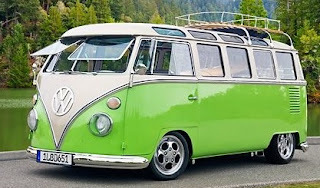 The drugs were found a lime-green, 1974 VW camper van that had been shipped to Hamburg in a container from Brazil. Traffickers welded a false bottom in place beneath the rear seat, stowing the drugs in the hidden compartment beneath the floor of the vehicle. German police have seized more than 7 metric tons of cocaine this year. 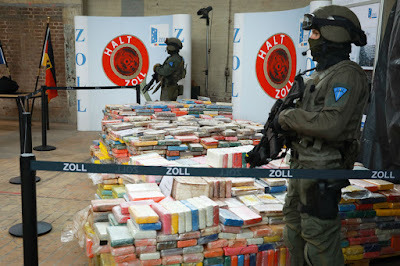 Germany had been inundated by a "flood of cocaine" from South America, said a senior law enforcement agent.